Join the festivities with Oakshott Fabrics' Interpolations 3 Quilt, the latest in a stellar series of designs by Helen Howes. 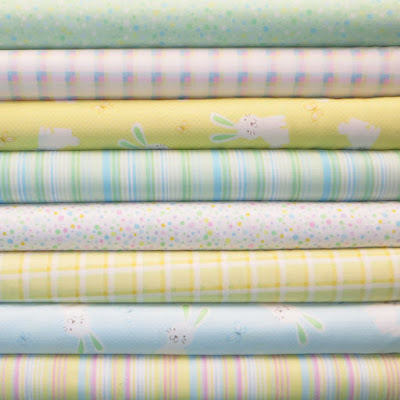 Pelenna Patchworks has a cute new range in ideal for baby quilts - Bunny Hop, designed by Greta Lynn for Benartex's Kanvas Studio. 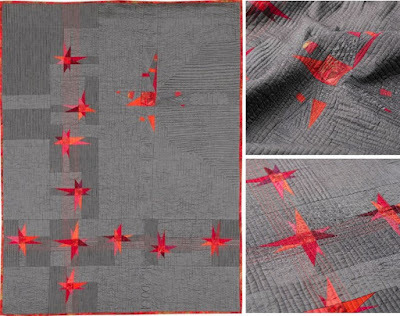 The fabrics are available by the metre, or in a fat quarter pack or stash pack and there's also a quilt kit and free cot quilt pattern available. Sew Nana has this Lori Holt 2016 cozy cottage calendar with 20% off (using code LQDEC11 until 11 December). These cute calendars not only have beautiful pictures to brighten your sewing room or nook, they have plenty of room for you to keep track of your QAL or BOM's. As an added bonus they have a full color pattern to make the cozy cottage block in 2 sizes. 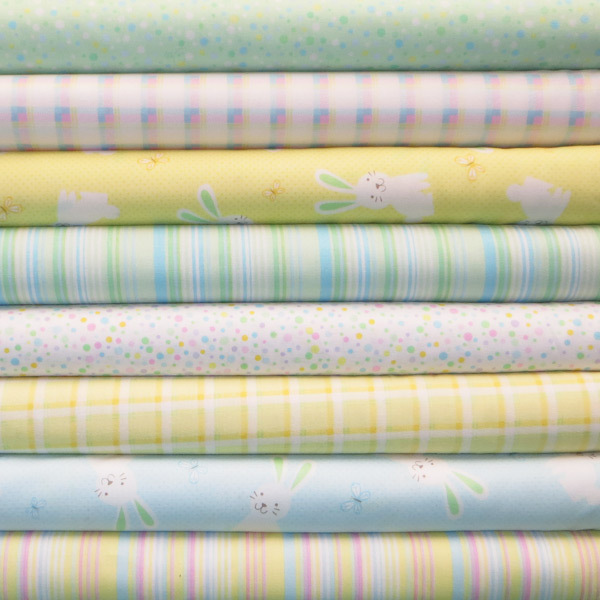 New flannels have arrived at Fabric Please! Time to stock up for those cozy winter projects. PJ's, shirts, infinity scarves etc. All flannels are $10.25/yard CAD. Winnie the Pooh fabric is new in stock at Elephant In My Handbag.